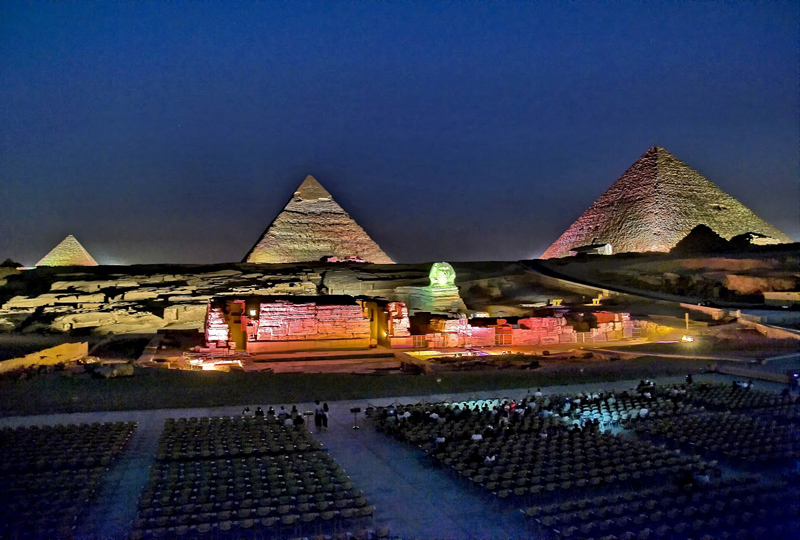 Enjoy a spectacular evening of entertainment with this 2-hour Pyramid Light and Sound Show experience in Cairo, with private round-trip transfers included. 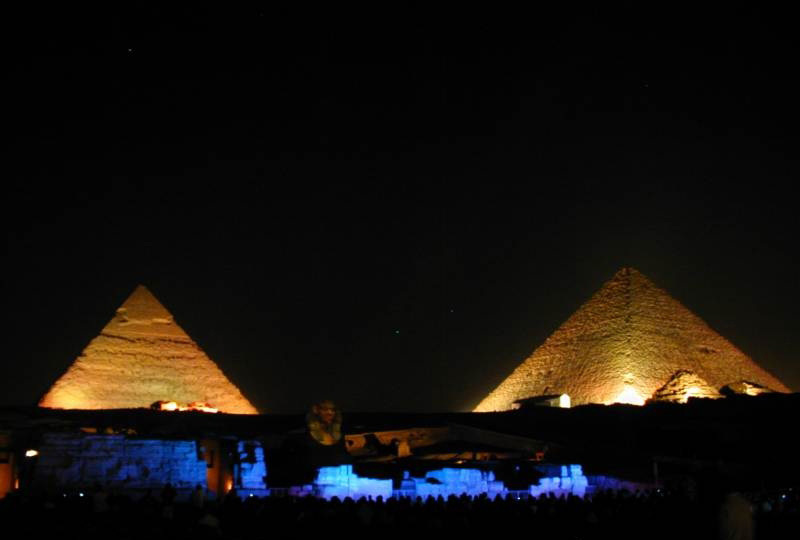 Travel to the Giza Plateau by private, air-conditioned vehicle and witness this world-famous sound and light extravaganza. 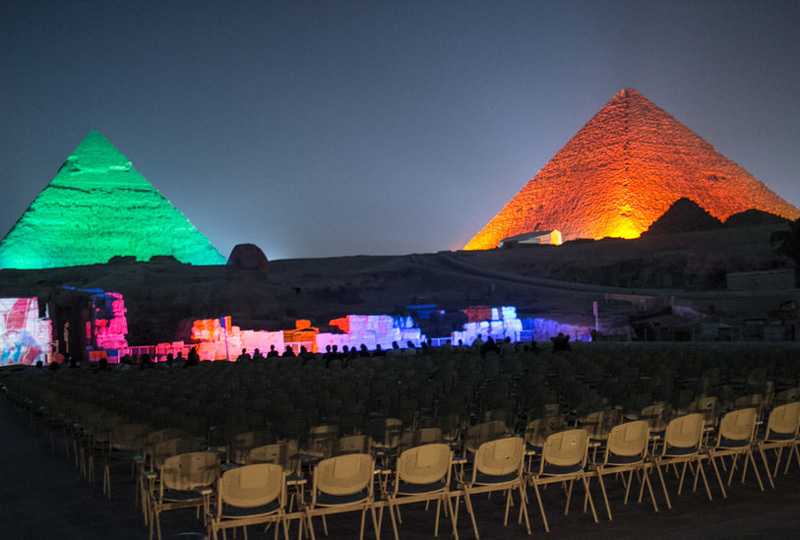 Watch as the pyramids and Sphinx are illuminated in multi-colored lasers and visual projections, and listen to the booming music and commentary emanating from the Sphinx that tells the stories of ancient Egypt and the pyramids. 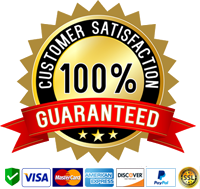 Afterward, relax with your private transfer back to your hotel. 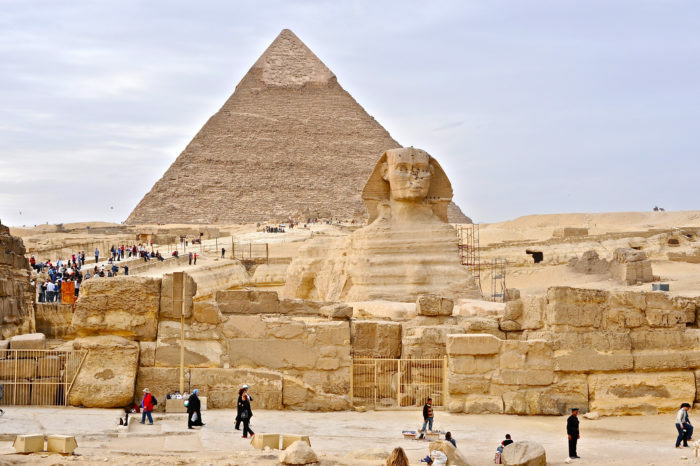 After an early evening pickup from your hotel, travel directly to the Giza plateau in the comfort of your own private, air-conditioned vehicle. 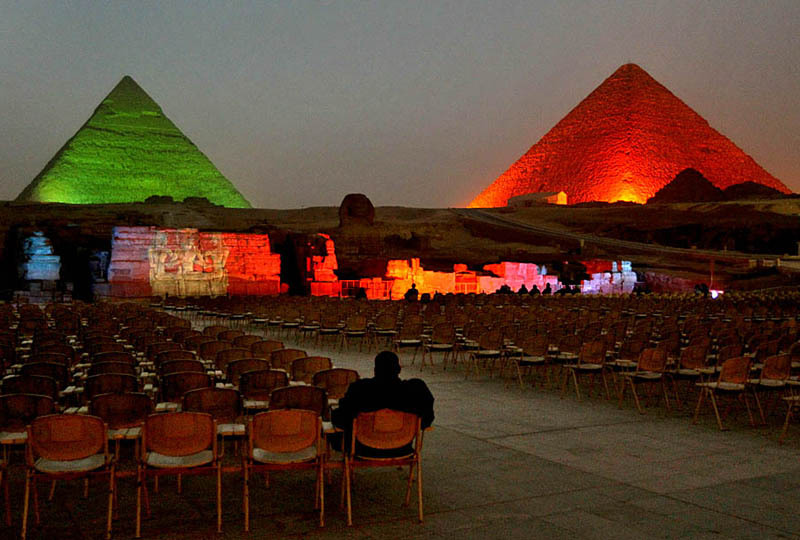 Enjoy the views of Cairo at dusk as you travel, and on arrival, bid goodbye to your driver and take your seat for the incredible 1-hour sound and light show. 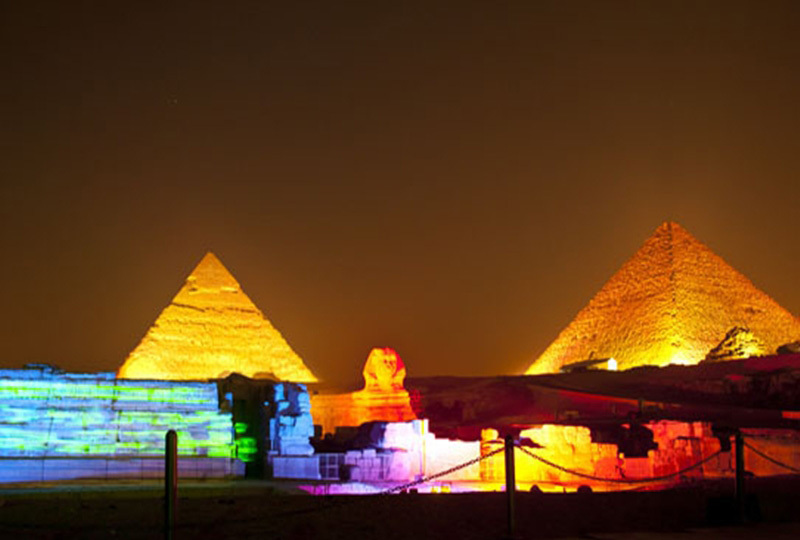 Watch as the Great Sphinx — the massive statue of a mythical human-headed lion that fronts the pyramids — is suddenly illuminated. The Sphinx will act as the ‘storyteller’ for the show, narrating a distilled history of Egypt and the pharaohs who built the pyramids via a dramatic soundtrack. 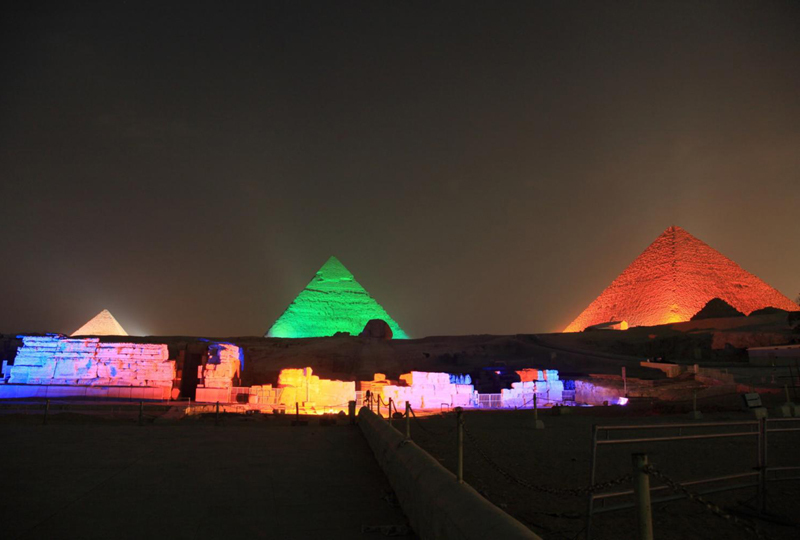 As the story of ancient Egypt unfolds, admire the brilliant laser lights and rainbow-colored projections that light up the pyramids, Mummification Temple and Sphinx in a multitude of hues, symbols and hieroglyphs. 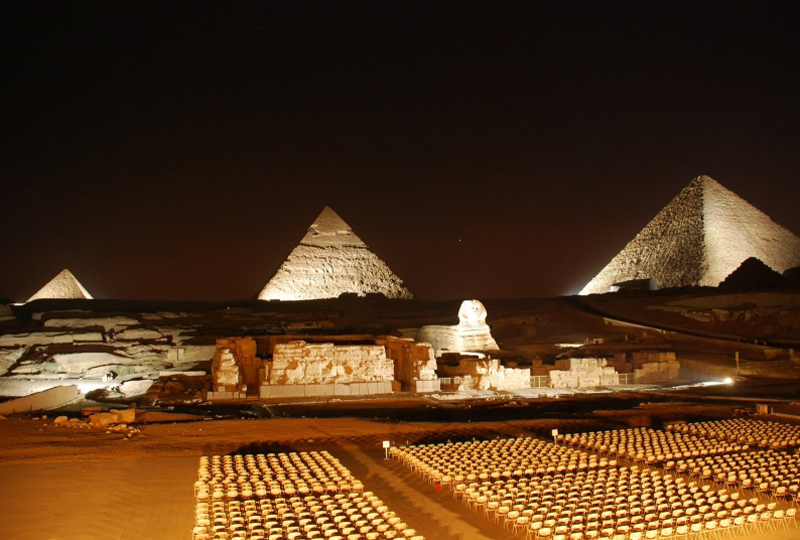 Hear how and why the pyramids were constructed, and take snaps of the visual extravaganza as the narrated soundtrack builds in drama to finish with rousing music and a captivating final crescendo. 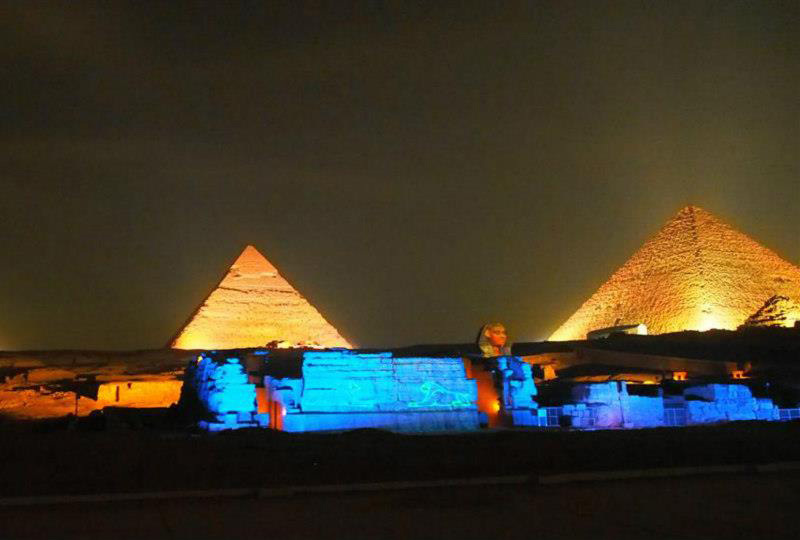 After the show, reconvene with your private driver and ride back to your hotel. Your experience then ends with a drop-off at your hotel.